Photographing this NY City tech conference for a leading social media company was great! 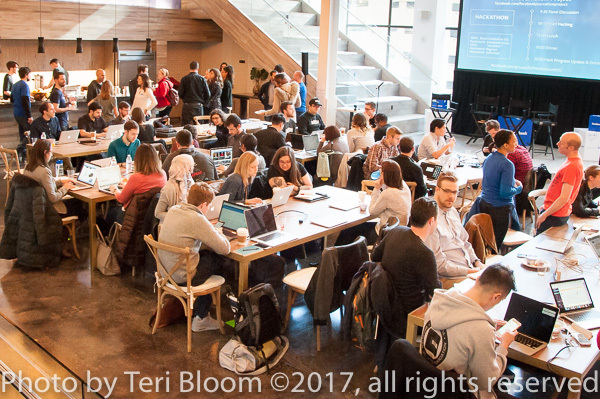 Journalists from NYC & the northeast gathered at this special event to brainstorm app ideas to help them do their job better. A journalist at heart, I used my photojournalist skills to cover this business networking event. I covered the event with a range of wide angle overall shots of the room, as well as telephoto shots of the participants in action. As always my photography shooting was low-key and unobtrusive.. Please be in touch if you need a great photography to photograph your business conference!